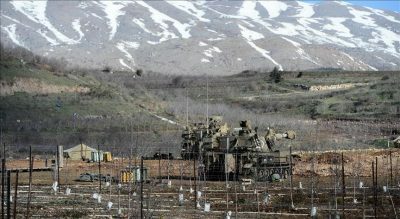 The Syrian state will not be in a position to liberate the occupied Golan for decades to come. US President Donald Trump made a gift of the territory to Prime Minister Benyamin Netanyahu last month. The move was Trump’s support for Netanyahu’s domestic election campaign; Netanyahu is facing severe accusations of bribery and corruption. No government in Damascus can regain the occupied Golan in the next decades due to the hefty price the Syrian government would pay for any war with Israel to recover the territory. The only hope for Syria would be to copy the Lebanese experience and delegate power to a Syrian resistance. However, the Lebanese experience is unique and would be difficult to imitate, unless Syria were to regain good ties with the west and with Arab countries allied to the US. Yes, the Lebanese resistance managed to impose on Israel in the year 2000 a humiliated unconditional unilateral withdrawal of most occupied territories. Ehud Barak, then the Prime Minister, decided to end over two decades of occupation and abandon his allies in the “South Lebanese Army” (SLA), withdrawing from Lebanon following repetitive attacks of the resistance that left over 1000 Israeli officers and soldiers killed. Moreover, in the second Israeli war on Lebanon in 2006 (the first war was the 1982 invasion), Israel refrained from destroying the capital Beirut, the Ministry of Defence and many official institutions and infrastructure (bombing some official targets and destroying many bridges). The reason Israel held back from using its destructive firepower from these and other targets – even if it failed to achieve its goal of limiting Hezbollah’s military capabilities – is also due to the split within the Lebanese government between friends and enemies of the hegemony and dominance of the US and its allies. The presence of Lebanese friends of the US such as Prime Minister Fouad Siniora (image on the right), and many ministers and political leader’s hostile to Hezbollah, led the US to exert pressure on Israel and prevent it from destroying the country. The US believed its allies in Lebanon might achieve by political influence what Israel has failed to do in 33 days of war against the group. The situation in Syria today is different: Israel, Saudi Arabia, Qatar, Jordan, Turkey, Europe and the US all worked together to change the Syrian regime and create a failed state controlled by Takfiri jihadists. The Israeli Defence Minister Moshe Yaalon said he would rather see ISIS on Israeli borders than the Syrian army. Many Israeli top military commanders shared this view. Indeed, Israel tried to promote a “Syrian security zone”, like the one created in Lebanon in the ‘80s, to de facto permanently annex the Golan and to move a few kilometres further into the southern Syrian territories occupied by al-Qaeda and ISIS. In such a scenario, no country in the world would have contested Israel’s move. To Israel’s consternation, the Syrian army and its allies managed to retake the momentum and turn the situation upside-down, recovering all southern territories from Israel’s friends in al-Qaeda and “Jaish Khaled Bin al-Waleed,” a group that professed loyalty to ISIS. This is what pushed Israel in 2019 – when all countries who had bet that Syria would fall into a chaos in a matter of months were obliged to recognize their mistaken judgment – to ask Trump to offer the Golan, the property neither of Israel nor of the US, as a gift to Netanyahu’s election chances. The danger in such recognition is the fact that, notwithstanding the world’s rejection of Trump’s illegal move, the international position towards the Golan may change in the years and decades to come. This is exactly what happened to Palestine, now reduced to a small territory surrounded by Israel where no Palestinian can return to his abducted home. Trump recognised Jerusalem as Israel’s capital and many leaders followed. The US move, regardless of the words spoken by world leaders in defence of international law, will face no effective resistance nor any serious opposition from the supposed leader of the Islamic World, i.e. Saudi Arabia, nor from other Arab and Islamic countries (apart from Iran and its close allies). Thus, Israel is playing a waiting game to gain further recognition of its occupation of Jerusalem and the Golan Heights. However, what if Syria decides to recover the occupied territories? The Israeli military is capable of bringing Syria back to the stone age. Its Air Force can destroy Syria’s electricity, dams, bridges, military and civilian infrastructures if Syria were to declare war on Israel in the name of recovering the Golan, as it did in the 1973 war. Unlike Lebanon, Syria doesn’t have US allies within its government, legislative and military apparatus because power is in the hands of the President. Neither does Syria have ties with Arab states who could rebuild the country in case of severe damage or exert enough pressure to stop Israel from bombing Syria. The late President Hafez Assad knew all this when he agreed to negotiate and went to Geneva after years of negotiation to sign a peace deal. Assad led a delegation of over 100 people, under the auspices of US president Bill Clinton, prepared to make peace with Israel on the basis of land for peace. It was Prime Minister Ehud Barak who withdrew from the deal because domestic pressure and public opinion did not allow him to withdraw entirely from Lebanon and the Golan. He wanted to keep some control over Tiberias and the water that flows into the lake from upper Jordan, Banyas Spring and other streams. Barak simply failed to honour Yitzhak Rabin’s commitment to Assad (and later Shimon Peres) that Israel would withdraw to the June 4 line. He wanted to keep a permanent Israeli presence on Mount Hermon and made security demands that could not be met by Assad. Barak thought he could twist Assad’s arms to the last minute and was unaware that the Syrian president was not bluffing and not ready to compromise on any inch of Syrian territory. In 2010, ten years following the death of his father, President Bashar al-Assad was also willing to engage in peace talks with Israel in exchange for the Golan and return to the June 4 line, but Netanyahu, then Prime Minister, rejected the offer. Israel is not looking to exchange land for peace. It holds tightly to David Ben Gurion’s strategy of exerting hegemony over the Middle East by military might. Only Syrian resistance groups who have gathered warfare experience in the last eight years of war could engage in guerrilla warfare to regain the Golan, similar to the Hezbollah experience in defeating Israel in the year 2000. Nevertheless, Syria can expect a violent Israeli response if this path to liberate the Golan is adopted. Japan failed to regain the northern Kuril Islands occupied by Russia following the Second World War. The United Arab Emirates is unable to regain control of the two Islands of Tunb and Abu Mussa from Iran. China, to date, is not retaking Taiwan due to US protection of the Island. Ukraine will not recover Crimea from Russia and Septa and Melilla will not be given back to Morocco, remaining under Spanish control. There are territorial disputes between African countries, Pakistan, India, Australia, Cambodia, Korea and many other countries.